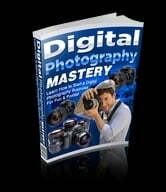 Do you have a problem trying to get started on your journey to the photography world? In a matter of weeks or even better after few months later, you could be joining the photography contest to show your talents in photography. Best of all, you could do all this without the gimmicks, hype, and general drivel that is fed to you by most other photography manuals.